I have been having a lot of stitchy fun this week whipping up a big batch of zippy pouches. Some have become purses, some pencil cases and others have evolved in padded accessory covers. All of these designs share one crucial design element, the Magpie Method of zip insertion. When I was learning to insert zips I read lots of great tutorials. When I made my first zippy pouch I used this tutorial. You might just be able to see that the zip has covered ends. If you read the tutorial you will see what I mean by that, and how to insert a zip using this technique. It is effective and I know some people prefer zips to be covered at the ends. For me, I don't mind the look of covered zip ends, but they do create a couple of issues. Firstly, the presence of the covered end obstructs the opening of the pouch a little. This doesn't matter so much on longer items, but does have an impact when you are making little purses or phone cases. Secondly, covering the zip ends makes for more work. You have to cut (and preferably interface) extra fabric, you have to sew that fabric over the zip ends, and it also helps to stitch the ends of the zipper together to keep everything neat. I like neatness, but I am all for time saving too. With this in mind, I quickly abandoned covered zip ends and through the process of creating a multitude of wash bags, pouches and purses my own method has evolved, which I will share with you now. For the process of this tutorial, I will be making a small, lined purse but the method would apply to a variety of pouches of all sizes, with straight bottom edges such as this one, or flat-bottomed. 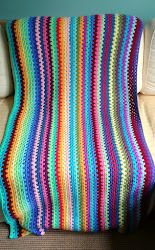 For items such as cushion covers I would use a different method, as this one does not give perfectly angled corners. Firstly you will need to cut your fabric to the required size. As a general rule, I sew with a quarter inch seam allowance, so if I wanted my finished item to be 5 x 7 inches I would add half an inch to each measurement to give a cutting size of 5 1/2 x 7 1/2 inches. You need to cut two pieces of your outer fabric, plus two for the lining. If you are being really good, I would also recommend interfacing all four pieces, so you will need four pieces of Vilene (or equivalent) of the same size. Since we are making a zipped pouch you will also be needing a zip. Here is where the Magpie method comes into it's own. When you buy a zip, they are sold in different lengths and the length usually corresponds to the length of the teeth. The actual length of the whole piece is normally an inch longer. The tricky part about sewing in zips is avoiding the metal stopper and the zip pull itself. In some methods, you start with the zip closed and then when you have sewn past the zip pull you have to raise the foot of the sewing machine and wiggle the zip pull open past it. When I was still new to zip insertion I found this a bit tricky. My method is simple; I choose a zip that is at least two inches longer than I need it to be to keep all of the metal parts away from where I am sewing. At this point we need to rummage around to find the zipper foot for your sewing machine. Don't be scared of the zip foot, it's a great little helper. It looks something like this. Some machines have snap on feet, others have a little screw fixing which may need a screw driver, usually supplied with the machine. Normally you are able to attach it on either the left of the right side. I always attach mine to the left. Zipper foot attached to the left. This is where we need it. So, you have all your pieces assembled, interfacing ironed on, co-ordinating thread installed in the machine, zipper foot in place. The first step is to assemble what is commonly referred to as the zip sandwich. Place your exterior fabric right side up, then lay the zip on top, with the right side facing down. Align the edge of the zip with the edge of the fabric. When it is in place, you put your lining fabric right side down on the top. If the pattern of your fabric has a particular orientation, make sure you have it the right way up, the top is where the zip is. Now, you can pin everything in place, but it probably isn't necessary on smaller pouches and anyway, I like to straighten as I go. Take your little sandwich over to your machine, align the edge of the fabric with the outside edge of the zip foot, and bring the foot down into position. You can make a few backstitches at the start of the seam but don't worry too much as the ends will be sewn over later. Sew down the length of the zipper to the end of the fabric. Just ignore the ends of the zip hanging loose. At this point I like to iron the sides flat, and then bring the wrong sides of the exterior and lining together. I then give another little press and fasten with a pin. Now we repeat the zipper sandwich. Put your second exterior piece right side up. Place the sewn zip sandwich face down (so the lining is facing up) on top, lining up the unsewn edge of the zip with the top of your exterior fabric. Lay your second piece of lining fabric right side down, again aligning the top edge to the top of the zip. Try to match up the side edges too as this will save too much wastage when you trim later on. Place your sandwich on the machine as before and sew along the fabric, aligning the edge of the foot with the edge of the fabric. When this is done, repeat the ironing and pinning, making sure to get the fabric as flat as possible and away from around the zip. Now we are ready to topstitch. This step makes for a neat finish but also keeps the fabric from getting stuck in the zip when the pouch is finished. For personal preference, I do my topstitching with my ordinary foot; the zipper foot lets you get closer but I find that matching the edge of the zigzag foot with the zipper teeth gives me a line to follow, which helps keep the stitches neat. Topstitch down both sides of the zip. Again, you can do a little backstitching at the beginning and end if you like, but the ends will be tucked in later so don't worry too much. When the topstitching is done it is time to trim all the edges to make sure that they all get covered by the seam. I usually start with the bottom edges then move on to the sides. Trim the side with the stopper first. Next slide the zipper two thirds of the way down and trim the other end. Don't do what I did twice this week which was cut the end with the zip pull on the wrong side of the cut. It can be salvaged but it is a complete nuisance and I did get a *little* bit cross about it. As well as saving you from making my mistake, it's also important to keep the zip open from this point as you will need the pouch open for turning out later on. With your edges neat, you are ready to match up your exterior sides and the lining. Match the exterior sides first, pinning around the sides and making sure the zip itself is pushed towards the lining side. If you want to add a little tag to attach a key ring to, now is the time. Make sure it is inserted right side inside the pouch. Now pin the lining together. Pinning done, go back to your machine and sew around the edges of the fabric, starting at roughly the point you see in the photo, i.e, about three quarters of the way along the bottom edge of the lining. When you reach the corners, leave the needle down through the fabric, raise the presser foot and turn the fabric 90 degrees anti-clockwise. Bring the presser foot down again and continue down the lining towards the join where the zip is. Go slowly over the zip. Because of the Magpie Method you can be confident that you aren't going to sew over any metal parts, but it is still tough for your machine over this part so go steady. I like to go over the zip part at least twice for extra strength, using the reverse button on the sewing machine. Finish sewing roughly three inches away from the beginning of the seam; you need to leave a turning gap. When you have made sure that your seam has secured all the layers of fabric you can trim any excess away. Don't trim from the turning gap as it makes it tricky to oversew later, but cut all the corners off as close to the stitching as possible. Now it is time to push the exterior through the gap in the lining and wiggle out all the creases. Grab your poking tool of choice (mine is a flat-ended screwdriver) to push the corners out as flat as possible. You will have to manoeuvre carefully to push out the corners of the zipper. Here I like to give everything another little press while the lining is still on the outside. I also iron the open seam underneath before stitching it closed as close to the edge as possible. You will need to backstitch the ends of this seam. Stitching done, the lining can be tucked into the pouch, corners poked in and another little press given before hey presto! You did it! Once you have mastered putting in the zip itself you will be able to add all sorts of embellishments to your purses. Ribbons and appliques should be applied after interfacing but before the zip is sewn on. I like to put buttons on after sewing the zip in as you can get a better idea of where to place them then. Also, once you are more confident about your seams it is possible to achieve a neater corner by positioning the metal stopper just inside the seam so that it is visible on the outside, but we'll leave that for another day, along with flat-bottomed pouches! I hope you found the tutorial useful. Please feel free to get in touch if you need help with any part. I would love to see any purses/pouches you make too!